Effective September 2016, Karthik Ramanna is Professor of Business & Public Policy and Director of the Master of Public Policy Programme at the University of Oxford’s Blavatnik School of Government. Karthik joins Oxford after nearly a decade on the faculty of Harvard Business School. At Harvard, he also held the Henry B. Arthur Fellowship in ethics, the Marvin Bower Fellowship recognizing innovative faculty research, and a visiting fellowship at the Kennedy School of Government. Additionally, he is a faculty associate of the Weatherhead Center for International Affairs. Karthik’s scholarship explores the role of business leadership in shaping the basic rules that govern capital-market societies. His book Political Standards (University of Chicago Press) studies the political and economic forces that have shaped corporate financial reporting standards over the last 30 years. He argues that accounting rulemaking is an allegory for the “thin political markets” where businesses shape – and sometimes subvert – the essential technical edifices of our economy. At Harvard, Karthik taught the required MBA course Leadership & Corporate Accountability, where he helped build a curriculum to develop leaders who can confront the 21st century’s most challenging problems, including institutional corruption and income inequality. He has also taught accounting, finance, and general management to graduate students and senior executives. Karthik has authored over two-dozen HBS case materials and over a dozen original research articles in leading professional outlets such as the Accounting Review, the California Management Review, and the Harvard Business Review. His scholarship has won awards from numerous bodies such as the American Accounting Association. Karthik serves on the editorial boards of several scientific journals, including as co-editor of the interdisciplinary journal Accounting, Economics & Law and as associate editor of the Journal of Accounting & Economics, the most-cited outlet in that field. To more directly impact business policy, Karthik occasionally writes for the popular press, including the New York Times and the Economic Times. He has also consulted with the Brookings Institution, the Center for Audit Quality, and several leading auditing and financial firms. Karthik received his Ph.D. in management from the Massachusetts Institute of Technology. He is an American citizen. The University of Chicago Press November 2015. Prudent, verifiable, and timely corporate accounting is a bedrock of our modern capitalist system. 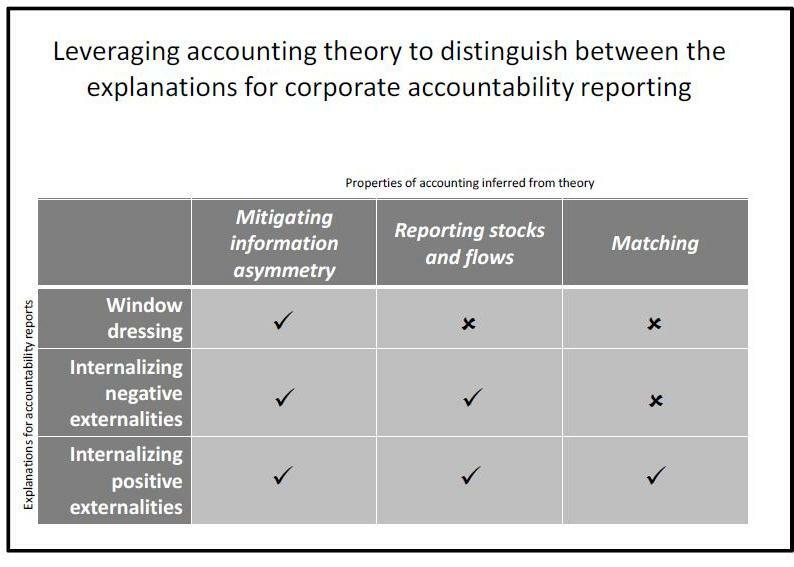 In recent years, however, the rules that govern corporate accounting have been subtly changed in ways that compromise these core principles, to the detriment of the economy at large. These changes have been driven by the private agendas of certain corporate special interests, aided selectively—and sometimes unwittingly—by arguments from business academia. With Political Standards, Karthik Ramanna develops the notion of “thin political markets” to describe a key problem facing technical rulemaking in corporate accounting and beyond. When standard-setting boards attempt to regulate the accounting practices of corporations, they must draw on a small pool of qualified experts—but those experts almost always have strong commercial interests in the outcome. Meanwhile, standard-setting rarely enjoys much attention from the general public. This absence of accountability, Ramanna argues, allows corporate managers to game the system. In the profit-maximization framework of modern capitalism, the only practicable solution is to reframe managerial norms when participating in thin political markets. Political Standards will be an essential resource for understanding how the rules of the game are set, whom they inevitably favor, and how the process can be changed for a better capitalism. California Management Review Vol. 57, No. 2 (Winter 2015), pp. 5-19. “Thin political markets” are the processes through which some of the most complex and critical institutions of our capitalist system are determined—e.g., our accounting-standards infrastructure. In thin political markets, corporate managers are largely unopposed—because of their own expertise and the general public's low awareness of the issues. This enables managers to structure the “rules of the game” in self-serving ways. The result is a structural flaw in the determination of critical institutions of our capitalist system, which, if ignored, can undermine the legitimacy of the system. This article provides some ideas on how to fix the problem. Journal of Accounting and Economics Vol. 55, No. 1 (February 2013), pp. 66–90. We investigate the effect of standard setters in standard setting. We examine how certain professional and political characteristics of FASB members and SEC commissioners predict the accounting “reliability” and “relevance” of proposed standards. Notably, we find FASB members with backgrounds in financial services are more likely to propose standards that decrease “reliability” and increase “relevance,” partly due to their tendency to propose fair-value methods. We find opposite results for FASB members affiliated with the Democratic Party, although only when excluding financial-services background as an independent variable. Jackknife procedures show that results are robust to omitting any individual standard setter. The Accounting Review Vol. 89, No. 4 (July 2014), pp. 1517-1543. If the differences in accounting standards across countries reflect relatively stable institutional differences, why did several countries rapidly adopt IFRS in the 2003–2008 period? We test the hypothesis that perceived network benefits from the extant worldwide adoption of IFRS can explain part of a country's shift away from local accounting standards. 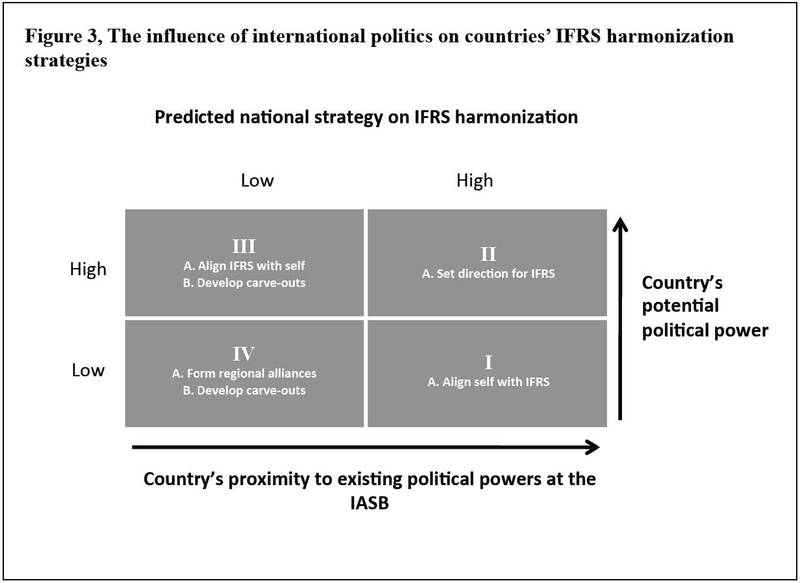 We find that perceived network benefits increase the degree of IFRS harmonization among countries and that smaller countries have a differentially higher response to these benefits. Further, economic ties with the European Union are a particularly important source of network effects. The results, robust to numerous alternative hypotheses and specifications, suggest IFRS adoption was self-reinforcing during the sample period, which, in turn, has implications for the consequences of IFRS adoption. Accounting Horizons Vol. 26, No. 2 (June 2013), pp. 409-432. Accounting, Economics and Law Vol. 3, No. 2 (April 2013), pp. 1-46.